On June 9, 2011, Ambassador Liu met at the Embassy with Mr. John Ashton, British Foreign Secretary’s Special Representative for Climate Change in the Embassy and they exchanged views on climate change. Ambassador Liu briefed Mr Ashton on the part of the Twelfth Five-Year Plan related to climate change and developing green and low-carbon economy and said that China thought highly of Britain’s role in tackling climate change, wished to maintain consultation and cooperation with Britain during the international negotiations on climate change, and expected to carry out mutually beneficial cooperation with Britain in energy conservation, environmental protection and low-carbon economy. 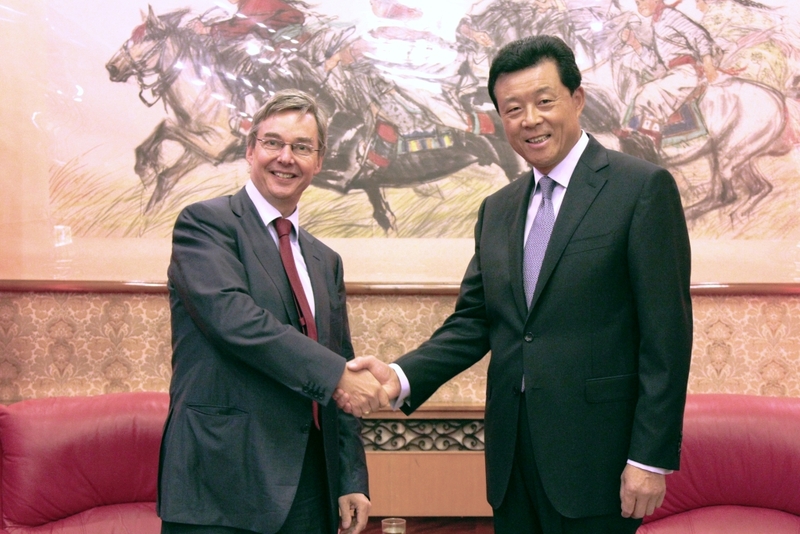 John Ashton introduced the policy and measures of the British coalition government on climate change and said that Chinese leaders were far-sighted in that they vigorously encouraged the efforts to tackle climate change and develop green economy and China has taken the leading role in emission reduction and achieved remarkable results. The British government commends the efforts the Chinese government has made and is willing to strengthen cooperations with the Chinese government in the relevant fields.